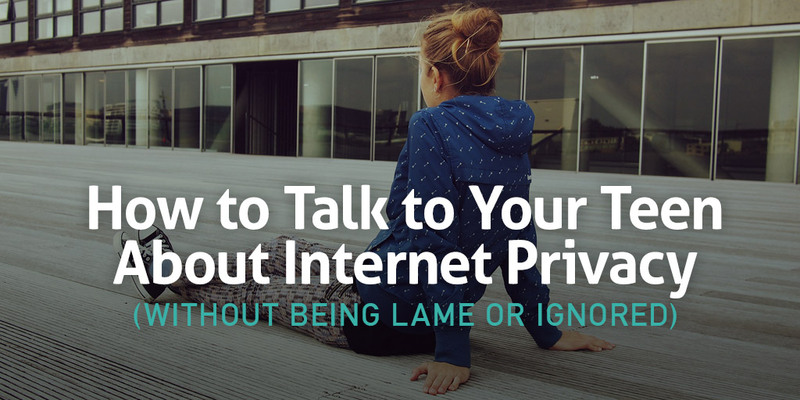 That’s why today we’re going to discuss everything your teen needs to know to protect their online privacy—and we’ll even share our favorite tips for easy communication so you can start the discussion off on the right foot. Bonus: Say the wrong thing, cue eyeroll. Click here for this free cheat sheet of what NOT to say to your teen and say these phrases to connect instead. Here at Just10, we believe it’s never too early to start discussing privacy matters with your children. After all, if technology is going to improve, it’s only natural that hacking will also get better along with it. As soon as your child starts using the internet, start openly discussing terms and concepts such as safety, privacy, protection, and identity. The younger children and pre-teens are when they’re absorbing this information, the more questions they’ll feel comfortable asking and the more knowledge you’ll be able to impart. Remember, it’s always harder to talk to an older, stubborn teen who thinks they already know everything, so by opening a dialogue early, you’ll create an ongoing conversation built on a strong foundation. We seasoned internet users already know that anytime a social media site, mobile app, or browser extension is offered to users for free, the real cost of that service is your mined data. Imagine how upset and surprised you were when you first learned this. Try to recreate this experience for your teen. Mention that you just found out that one of your favorite apps has been collecting your browser history in the background. See how your teen reacts to this. Are they surprised? Worried? Still totally clueless? From here you can explain why you’re so upset. Then segue to other types of personal data companies can collect behind your teen’s back. Talk about what they’re doing with this intel. Ask your teen how they feel about having all of their activity monitored and sold by big corporations. 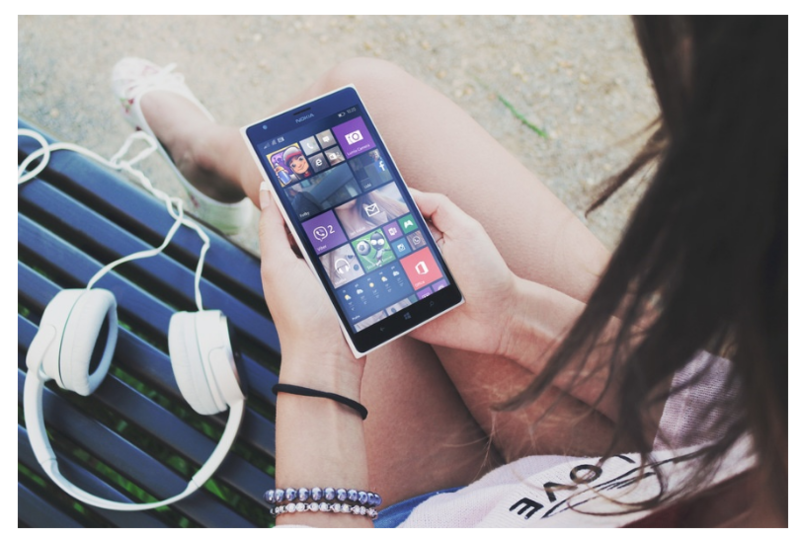 Chances are, this conversation may not cause your teen to go into stealth mode online, but it will hopefully plant the seed about being more careful. Teens crave independence and there’s nowhere better to find a free haven to connect with their friends without their parents hanging around than the internet. In an effort to bond, and with a naivety only youth can hold, they reveal too much and wind up disclosing more than they bargained for. That’s why we recommend creating an account on Just10 with your preteen. Our social media site is strictly focused on privacy and internet safety so it’s the perfect set of training wheels to let your preteen practice safe social media etiquette. Just10 profiles start out private and only your teen’s closest 10 friends and family members can view what they’re sharing. Your teen can even use a nickname so they never have to share their real name online. Since Just10 is totally ad-free, we never mine or collect your data. Plus, everything you post disappears in 10 days so you never have to worry about your past haunting your future. It’s a platform that your preteen can use to feel connected while you have peace of mind knowing they’re still safe. There’s a disturbingly popular trend among teens to equate trust with the sharing of online passwords. Significant others or manipulative friends pressure their peers into sharing their passwords, but when a disagreement occurs, as hot-headed teens tend to get into, the other party has complete and total access to all of your teen’s private information. They can not only pose as your teen, but they can make public all of the information they once thought was protected. As we’ve seen from countless, cringeworthy revenge sites, it’s not anonymous strangers who sometimes cause the most damage to your reputation, but people who you used to trust and love. Stress that no one—including yourself and your teen’s best friends—should know their passwords. Your teen is smart enough not to post their home or school address online (right?! ), but they may not be thinking about all the other easily-identifiable location markers they release everyday. It’s common to tag your location on Instagram and check into places on Facebook to connect with friends. But by doing so, your teen creates a map of points any stranger can connect using Google maps. When they know the small radius your teen and their friends choose to frequent, the potential for stalking and identity theft increases. 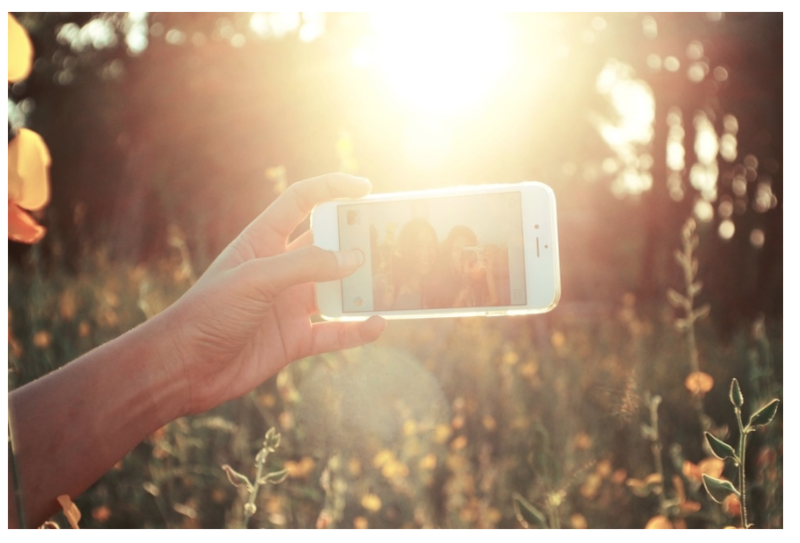 Older teenagers who are part of the “Instafame” generation are more interested in growing their friends list and becoming famous than protecting their online privacy. Teens who post often are at the highest risk of identity theft. Is your teen addicted to MTV’s hit series Catfish, the show that helps real-life people expose online scammers who have been stealing photographs from other people’s social media profiles so they can pretend to be them? The show exposes the dangers of talking to strangers online, plus it does a good job of showing how ill-intentioned people steal public profile photos. Corporations have been stealing images from free social media sites to use in everything from diet pills to demographics marketing without the original poster’s consent for years—and candid teen selfies are a hot commodity. Your teen can also have their identity stolen from posting too much. All identity thieves need is a first and last name and a general part of an address, which any hacker can find if your teen’s posting pictures at businesses or local hang outs (thanks, Google maps!). Ask your teen to show you how they set up privacy settings that avoid revealing private information like this to nefarious individuals. If there’s one lesson to stress to your teen it’s that they have complete power over protecting their online privacy. Staying secure is entirely in their own control. While we agree that it’s never been more difficult to raise teenagers than in the time of social media, we also believe that talking to your teen is better than installing parental blocks or spying software, which only instill distrust and force your teen to look for other, less safe avenues of digital exploration. Open the dialogue early and encourage frequent discussions about our ever-changing social media landscape and you’ll always know how your teen’s feeling. Hopefully they become just as protective of their data as you are… in time. Bonus: Keep the conversation going smoothly with our list of trigger phrases to avoid when speaking to your teen. Download this free cheat sheet now! Next Next post: What Do Website Security Certificates Actually Do for Your Privacy? Is your teen even listening to what you’re saying? Subscribe to receive this free guide to drive your points home the right way.